In work that brings researchers closer to the goal of precision medicine approaches to treating glaucoma and other neurodegenerative vision diseases, a new IUPUI study has, for the first time, been able to identify a wide variety of previously unknown cell subtypes in the human eye. 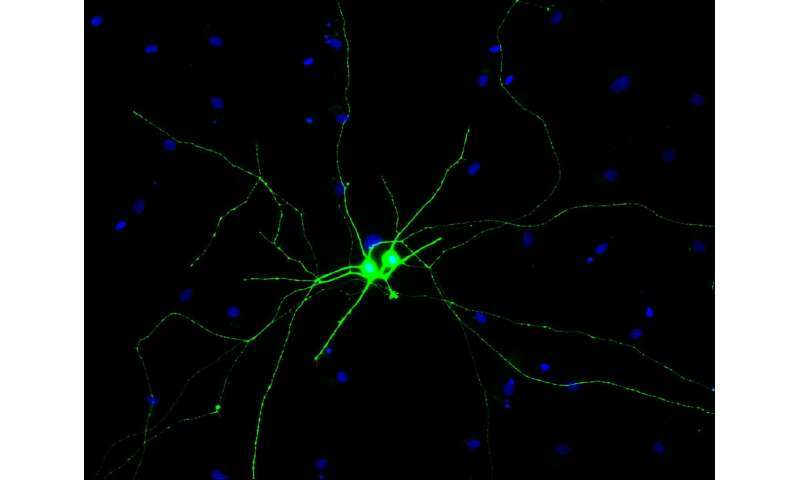 The cells—called retinal ganglion cells, also known as RGCs—are the neurons that take visual information from the eye to the brain for processing and interpretation, which is how we see things. "Although RGCs have been extensively studied in the past, they are not all the same. There are more than 30 different subtypes of these cells," said study senior author Jason Meyer, associate professor of biology in the School of Science at IUPUI and a primary investigator with the Stark Neurosciences Research Institute at the Indiana University School of Medicine. "Each of these subtypes is thought to have very different functions, and they respond differently in glaucoma and other diseases that affect RGCs. Some of these cell subtypes are more susceptible to damage than others." "With our new comprehensive understanding of the diversity of RGCs, we have set the stage for future studies to look at these cells through a more critical lens, with the ultimate goal of more-tailored drug development and treatment strategies for cells that are damaged or lost in glaucoma and other neurodegenerative vision disorders," Meyer said. The researchers studied RGCs that they derived from pluripotent stem cells. In past work, the Meyer laboratory in the School of Science successfully demonstrated the ability to turn stem cells derived from human skin cells into RGCs. "The methods used in this work will allow us to study how neurodegenerative diseases or optic-nerve injuries—like those suffered by soldiers in combat or athletes in contact sports—affect different subtypes of RGCs," Meyer said. "In the future, we will likely be able to customize cell-replacement strategies to replace those specific RGC subtypes for therapies." Prior to the study, knowledge of RGC subtypes in humans had been limited. Through methods developed by Kirstin Langer, the IUPUI doctoral student who is the first author of the new study, the researchers were able to identify and characterize these major RGC subtypes. "The study of different RGC subtypes in human-derived cells allows for more in-depth studies of how these RGCs develop, along with things like how these RGC subtypes may be differently affected by diseases or injuries of the eye," Langer said. "We hope this will allow us to develop better-targeted treatments for patients in the future." "Retinal Ganglion Cell Diversity and Subtype Specification from Human Pluripotent Stem Cells" is published in the peer-reviewed journal Stem Cell Reports. Co-authors, in addition to Meyer and Langer, are Sarah K. Ohlemacher and Clarisse M. Fligor of IUPUI and M. Joseph Phillips, Peng Jiang and David M. Gamm of the University of Wisconsin.